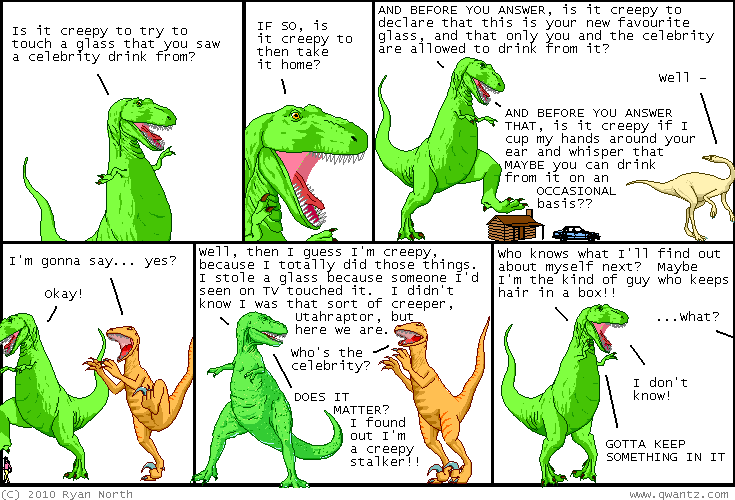 Dinosaur Comics - June 7th, 2010 - awesome fun times! One year ago today: where are the hindus with their "there's probably many gods. now stop worrying and enjoy your lives." buses? WHERE? ?